America's experience in Greece has often been cited as a model by those later policymakers in Washington who regard the involvement as a "victory" for... American foreign policy. Indeed, President Johnson and others referred to Greece as the model for America's deepening involvement in Vietnam during the mid-1960's. Greece became the battlefield for a new kind of war--one that included the use of guerrilla warfare, propaganda, war in the shadows, terror tactics and victory based on outlasting the enemy. It was also a test before the world of America's resolve to protect the principle of self-determination. 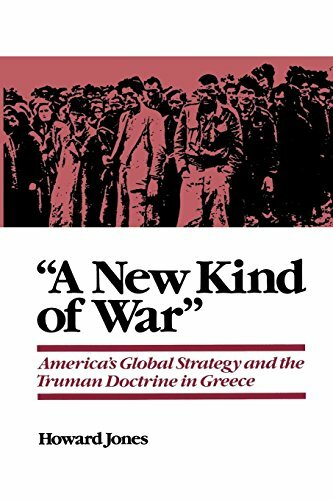 Jones argues that American policy towards Greece was the focal point in the development of a global strategy designed to combat totalitarianism. He also argues that had the White House and others drawn the real "lessons" from the intervention in Greece, the decisions regarding Vietnam might have been more carefully thought out.